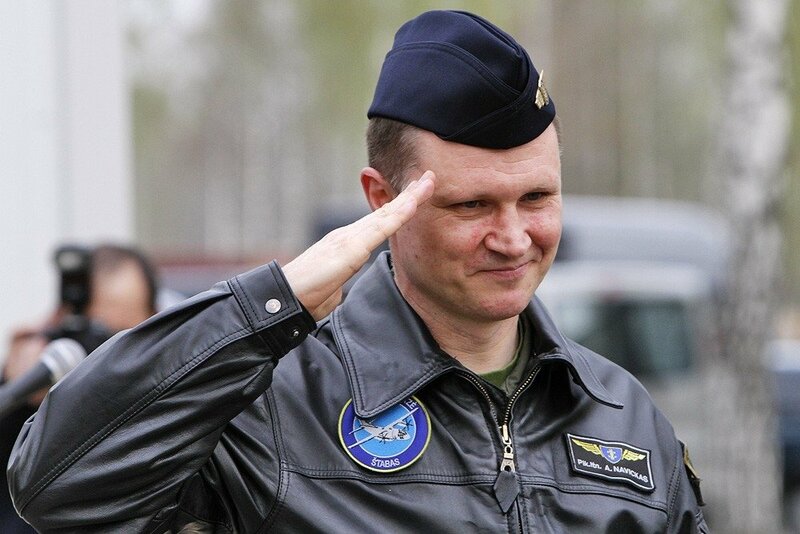 Lithuanian Defence Minister Raimundas Karoblis has decided that Air Force Commander Colonel Audronis Navickas, who was suspended several months ago due to an investigation, cannot return to his duties after the probe has been completed. The minister has placed the colonel in the temporary reserve of the personnel of the Lithuanian Armed Forces. Under the law, if Navickas is not offered a military post corresponding to his qualifications and rank within two months, he will be transferred to the reserve. The Air Force commander was suspended from his duties after the Defence Ministry last November launched its probe into plans to send two search and rescue helicopters for an overhaul in Russia. The colonel has appealed the suspension decision to court. "The material available shows that the decision to repair the helicopters and allocate funds for this purpose was made on condition that the repairs would not be carried out in Russia's territory or by suppliers from that country," Karoblis said in a comment forwarded to BNS by his spokeswoman Vita Ramanauskaiė. "Colonel Navickas, as the highest-ranking officer of the Lithuanian Air Force, failed to ensure that the policy of not repairing military helicopters in Russia, stated during the February 9, 2016 meeting of the Defence Ministry's Resource Council, was followed. National security is incompatible with loose interpretation of policies," the minister said.